Loan for display with permanent collection, Wadsworth Atheneum, Hartford, Connecticut, 1992-2003. Black Paintings, Haus der Kunst, Munich, 2006-2007, no. 51, repro. 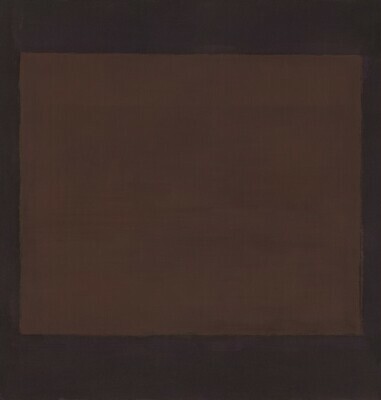 In the Tower: Mark Rothko, National Gallery of Art, Washington, D.C., 2010-2011, unnumbered brochure. American Paintings: An Illustrated Catalogue. National Gallery of Art, Washington, 1992: 327, repro. Anfam, David. Mark Rothko: The Works on Canvas: Catalogue Raisonné. New Haven and London, 1998: no. 766, repro.